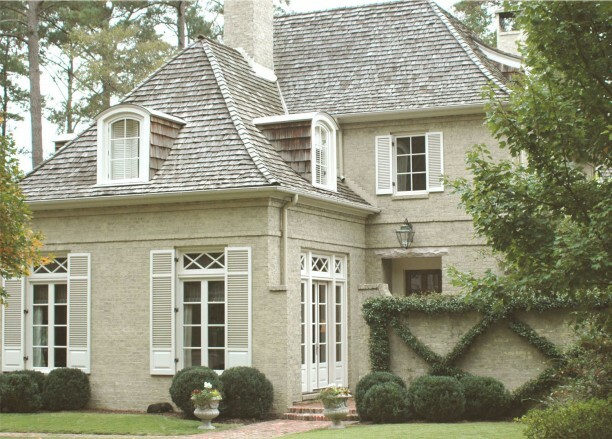 A shake roof and stately brick detail give this home the elegance of a classic French townhouse. Starting with a subdivided lot nestled between the surrounding properties, our client wanted a private yet spacious house. By using tall and deep bays in the main living spaces, we were able to broaden the natural light and view to the gardens. The courtyards and garden walls allowed us to expand the interior of the house to the outside while giving the family privacy from the street and neighbors.